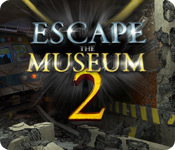 Escape the Museum 2 is rated 3.7 out of 5 by 24. Rated 5 out of 5 by arnold1049 from UNIQUE GAME The obstacles facing David on his way to the Museum to reunite with his family after an earthquake are numerous and very challenging. His helper, a street person, provides guidance and humor along the way. Each obstacle/location requires various actions to complete in order to overcome the obstacle. There are HOS, bridge parts to find, people/animals to rescue then reunite, and demands from the street person to meet. All available stars must be earned in each location to be able to overcome the last obstacle in the game, a folding bridge that must be lowered. The number of stars varies from 1 to 3. Items found in the HOS are used to complete other actions in the scene. This is a linear game where each location must be completed before the play can progress. The only thing that can be skipped in a scene is finding the hidden bridge part. But to be able to finish the game, all of the bridge parts must be found at some point in time. I had to refer to the walkthrough a few times because finding these parts was next to impossible in some scenes. Hints are available in the HOS and recharge fairly quickly. Help outside the HOS is provided by the street person with step by step instructions when his icon is clicked. But even with his help, I was driven to the walkthrough for more explanation a couple of times. The HOS are pretty hard with some objects fairly small and others that blend into the background. Other parts of the game were easier. This is also a problem with the game, the lack of continuity in the difficulty of the play. Some locations were easy and could be completed very quickly. Others were much harder to the point of requiring help from the walkthrough. I gave this game 5 stars because it provided a unique approach to HO play and broke the monotony found in playing other games that are very similar to each other. 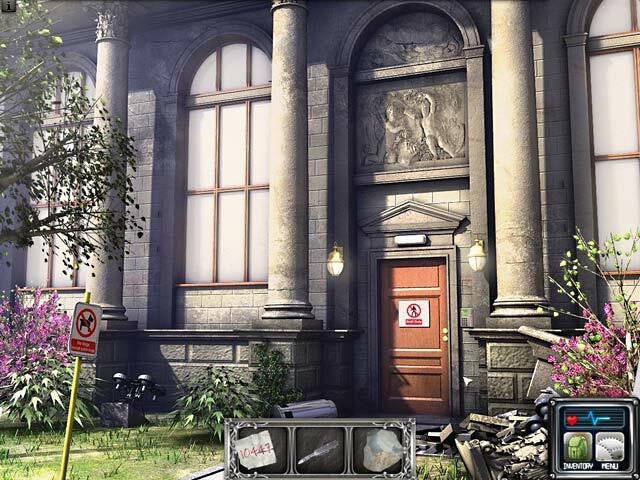 Rated 5 out of 5 by mrm2006 from So Much More Fun Than ...................... than the first game - "Escape The Museum". I thoroughly enjoyed this demo - a lot. Storyline: Here I am a teensy bit confused. Dad (you) is on the couch (apparently he has some blood pressure problems), mom (Susan) has taken Caitlin to the museum for the day but promises to be back for Thanksgiving dinner. They leave, an earthquake happens, dad gets up (with that thing the devs like to do where you're slowly opening your eyes), shouts that the lines must be down and he has to get to the museum. YAY Dad to the rescue! Now, before I continue - is this the same earthquake as in the first game "Escape The Museum" but from dad's perspective, or is this ANOTHER earthquake and this family is just having rotten luck? I wish THAT little tidbit had been better explained, especially if someone is going to play both games back to back. Or at least play the demos back to back as I did. Graphics: Amazing! So much better than in the first game. Bright, colors amazing and all the colors spot on and not all monochromatic - green plants, yellow car, red fire hydrant, just a world awash in color. Sound: Sound effects also pretty good. Music? Sorry, I am a grandma who has learned to tune things out. But the voices, and there was a lot of talking going on, which I love in a game, were spot on regarding tonal quality. If there was surprise, the voice sounded legitimately surprised. Some games lose something in the translation. Gameplay: So, you (dad) have now "come to" (you know how devs like to do that slow eye-opening thing), holler that "oh, what happened? Was there an earthquake?" And off you go to find your keys, phone and map. You realize the circuits are all busy and make the heroic decision to go to the museum and rescue your loved ones. You open the door and come face to face with ...... either the town weirdo (which is what I thought when he asked you to find his collection of tiny cars - and you did), a transient or someone else. Whomever he is, he is now your helper - located at the top right of your screen. Wave your cursor around up there a bit, he'll come out. He actually gives you a lot of informative help, much more than a hint button would. HOGs: Many, many, many, many. This is an HOG heavy game. You will see sparkles whenever there is an HOG for you to open up and play. And there will generally be several places in one area to find them. Especially as you get farther into the game. I LOVE that in this sequel (?) the list of items you have to find is clear. Also, the items you have to find are not tiny, are not hiding, necessarily, where you would never be able to find them and are not monochromatic with the surroundings. Saying that, however, at the first group of HOGs I had to play, I played them all, got my items, but then ended up going back to one of the HOGs, replaying the exact same list as earlier only to get the same inventory items I had received - earlier. Those items had simply disappeared. If you don't do the steps in the appropriate order is this what happens? I didn't run into that again. A glitch perhaps? HOGs: Many, many, many and many more. This is an HOG laden game. In each area you need to accomplish something, there will be several HOGs for you to complete. There are the prerequisite sparkles so you can find them easily. The list of items you need to find is clear, the items you need to find are easy to find, not necessarily hidden behind or under something nor set in a monochromatic tone with the surroundings. If you do require a hint during the HOG, never fear, your helper is there in the form of a snapshot picture. You can't miss him. I'm not quite sure he even needs recharging it happens that fast. So, you have a jumpable map, which shows where you need to go, where you need to go back and continue doing something and where you have finished. In the lower right hand of the screen is what looks like one of those machines in a hospital that takes your vitals - the noisy ones. It tells you how long it took to complete the level (why? ), the distance to the museum (I guess that would be helpful) and your heart rate in bpm's (beats per minute). If you randomly click in an HOG your heart rate starts to escalate. That's pretty cool, actually. You also have a small backpack in that same corner. When you click on it, it says "inventory". Well, no. Since you use your inventory items right away, you don't store them in the backpack. But I did pick up an item which I believe will be used to rebuild a bridge. And THAT'S the inventory being referred to. Also, on the right hand of the page (inventory on the left) is something called "Side Missions" with black silhouetted items. What the heck is this, I asked self. Self said, hmmm, don't rightly know. Well, Self and I finally figured it all out. It seems dad had to go back to one of the uncompleted areas and there was found a cute dog - whose picture went into the first silhouetted slot at the top of the page. Our "side mission" was to find it's owners. Voila, the mystery of the side missions solved. Although, in actuality, it appears there are quite a few side missions to solve. - lol. All in all, a most enjoyable game. Much more so than the first one (feel free to go to my review of that game - not quite so stellar I'm afraid). In any case, this Glam-ma says please do try the free demo. If you don't enjoy it as much as I did, you have only lost an hour. It will certainly be on my Wish List (hear that kids?) Happy Gaming. Rated 5 out of 5 by Snowview from More games like this, please! This is one of my favorite games of all. I love the characters and the family interactions. Unlike Escape the Museum, this follow-up from Dad's point of view has a great hint system with clear directions if you get stuck in the puzzles. I love helping Dad do good deeds, and the real-life, non-occult focus. One thing is lost from Escape the Museum--the gorgeous artifacts have been replaced by every-day items. Rated 5 out of 5 by legaleagle10 from Hidden object game with engaging story line, refreshingly free of Dark, Evil or Weirdness! This is a fabulous game to play w/ teens/kids. 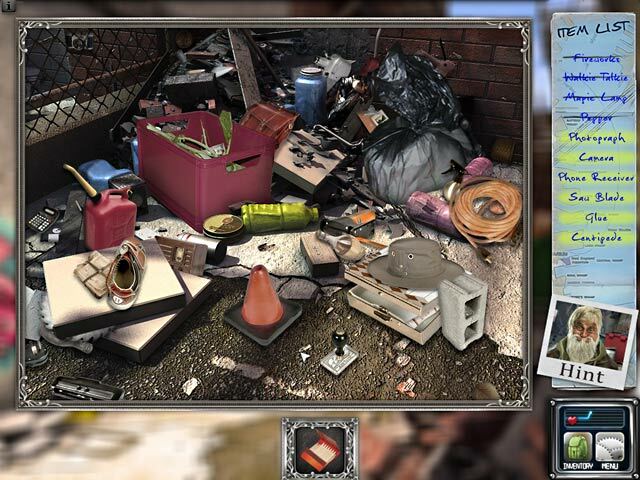 My entire family liked the hidden object scenes (challenging enough but not too hard), the need to combine found objects to advance the game, escape from one room/ scene to the next, etc. It seems some hidden object games have little or no plot line or if they do have a plot line contain a disturbingly dark twist. We played the 1st Escape the Museum & liked it, I think this one was even better. I would love to see more along the lines of this game, please!!! Rated 5 out of 5 by tanab from Finally a HO game that dosen't deal with ghost & the like. I'm fairly new to ho games but really love this one. I don't like the evil spirt type & this is wholesome. Rated 5 out of 5 by Jaelle7 from Different type of game - fun Using the one hour free, I was disappointed when the hour was over so I bought it. This is a fun continuation - and better - of the Escape from the Museum and from the husband's point of view. 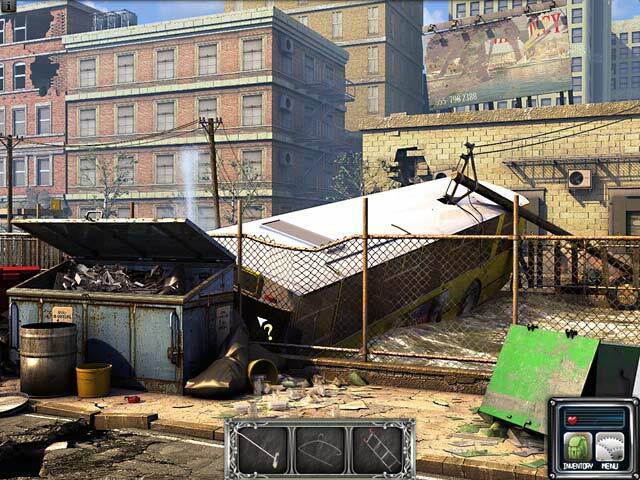 The hidden objects are challenging but totally do-able. There are in between challenges that let you progress to the next step that are fun but so far, not too difficult. I totally recommend this game. Rated 4 out of 5 by rosekaufmann from HELP BY MIDNIGHT Good follow-up game. Like the "hint" guy, but he disappeared when I needed him to help outside the HOS. Figured it out anyway. Really good graphics, great voice overs, nice plot. Easy and lots of fun. Strange he said he needed to help them by midnight - in an earthquake, isn't it help asap. Okay length for Gogii sale. Rated 4 out of 5 by RVKittykat from Fast and fun game I thought this was a fast and fun game to play. As others already mentioned, some of the HOs were hard to see and I found myself squinting which doesn't really help. I usually go for the creepy spooky HOG/Adventure games but did enjoy this one. It was a nice change from the usual evil spirits and assorted things that go bump in the night. After a devastating earthquake rocks the city, David must reach the museum before nightfall and save his wife and daughter!